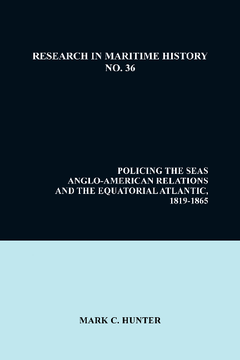 This study explores the British and American attempts to suppress both piracy and slavery in the equatorial Atlantic in the period 1816 to 1865. It aims to demonstrate the pivotal role of naval policy in defining the Anglo-American relationship. It defines the equatorial Atlantic as the region encompassing the coastal zones of the Gulf of Mexico, Central America, Northern Brazil, and the African coast from Cape Verde to the south of the Congo River. It explores the use of sea power by both nations in pursuit of their goals, and the Anglo-American naval relations during this relatively co-operative period. At its core, it argues that naval activities result from national interests - in this instance protecting commerce and furthering economic objectives, a source of tension between America and Britain during the period. It confirms that the two nations were neither allies nor enemies during the period, yet learnt to co-exist non-violently through their strategic use of sea power during peacetime. The study consists of an introductory chapter, eight chapters of analysis, and a select bibliography.